Candy Fair Sponsor VIP Early Access Shopping Day! Candy Fair 2016 is just around the corner! We are giving members of our fairs sponsors VIP groups early access to shop before the crowds! 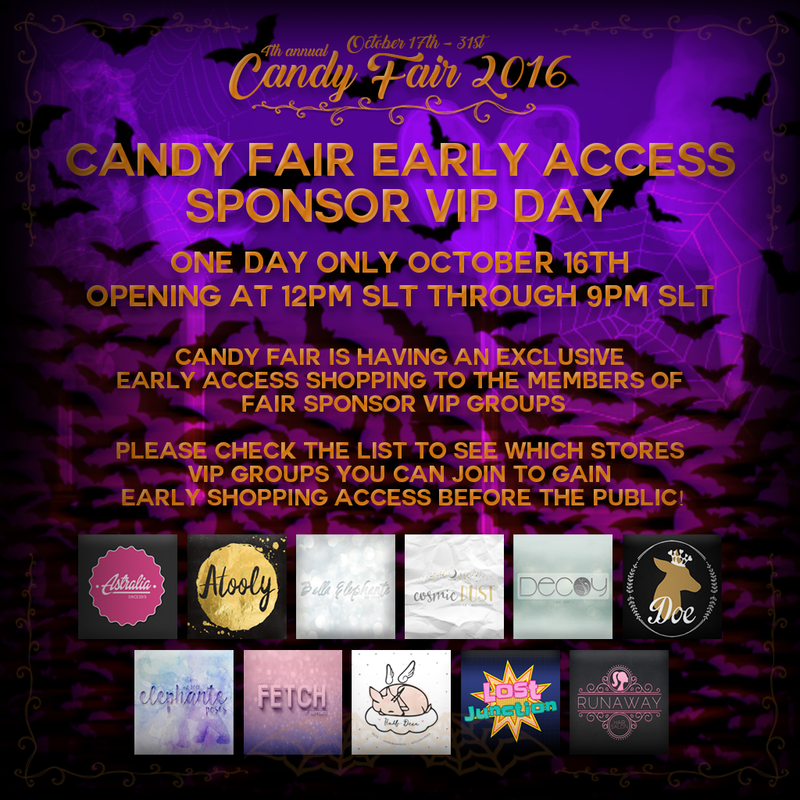 Sponsor VIP Day will start October 16th, 12PM SLT and run through 9PM SLT October 16th. This is just a special day to say thanks for supporting our sponsors and hopefully bring some new members to their groups, along with giving you guys the chance to shop early before the public! Below you will find a list of the VIP groups you can join to gain access! Some stores that don't have VIP groups have instead given the option to their personal store bloggers early access. But there is plenty of groups you can join! We look forward to seeing your at Candy Fair 2016!